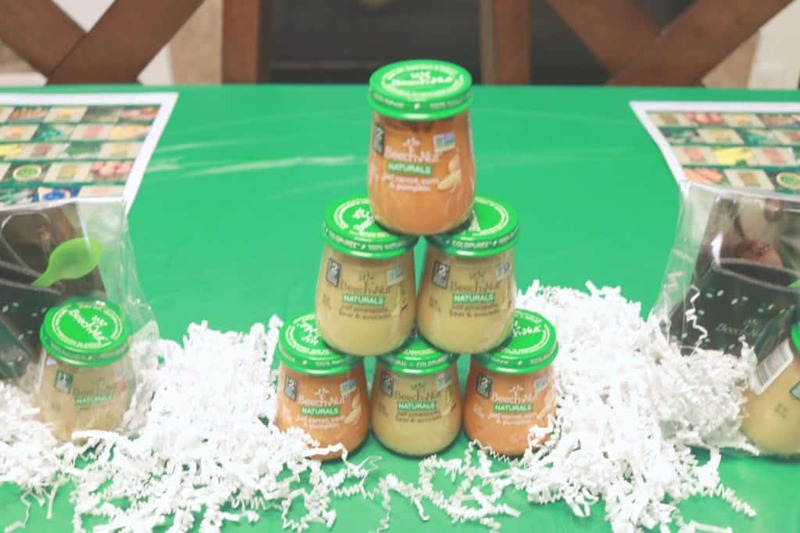 Being a new mom and navigating the baby food aisle can be a challenge, so when we had the opportunity to share our favorite baby food with the new moms in our life, we jumped on it! Check out our Beech-Nut Mommy Party Below. Disclosure: I am partnering with Beech-Nut. All opinions are my own. 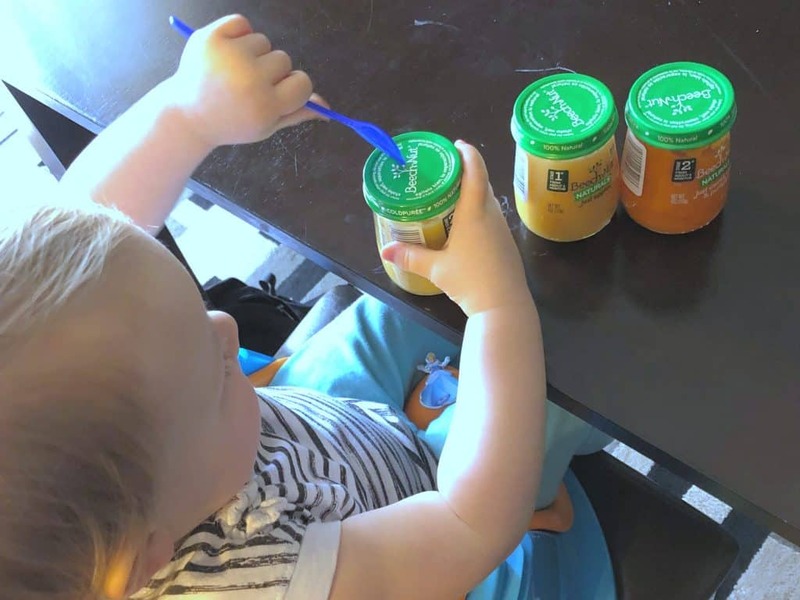 My husband and I were married young and had kids young and although our own children have outgrown the baby food stages. Our friends are all starting to have families and babies and are just getting into these stages. 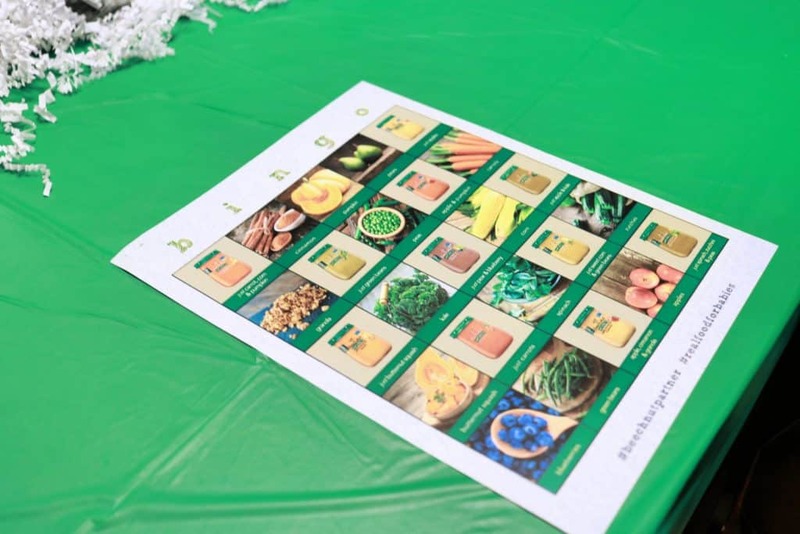 So when Beech-Nut approached me to have a little mommy party with some of the new moms in my life, I jumped at the chance to showcase the foods my children grew up on and enjoy some time with the little humans in our lives! With everyone being either an adult or a child under 2 (aside from my own children), I kept the party pretty low key. I wanted to have a little table for everyone to see all the yummy foods that I was going to send home with them and then maybe a game or two for us to try and play. 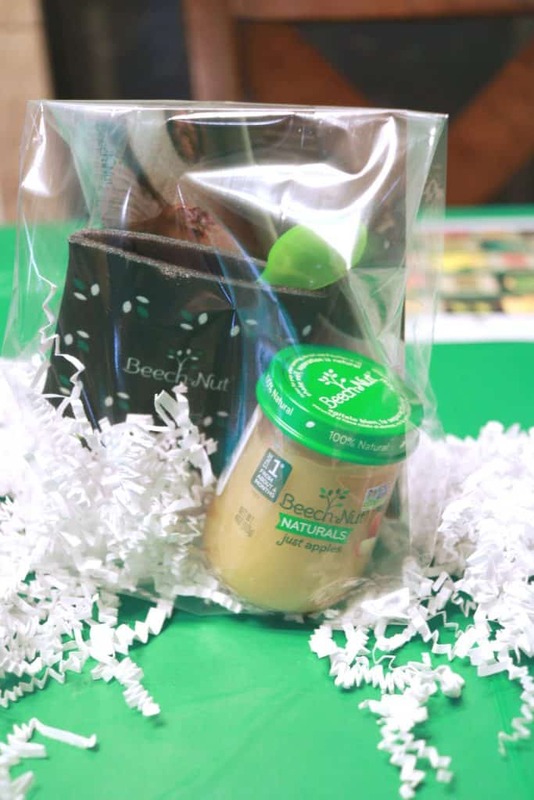 I created little gift bags with some Beech-Nut swag for my guests. 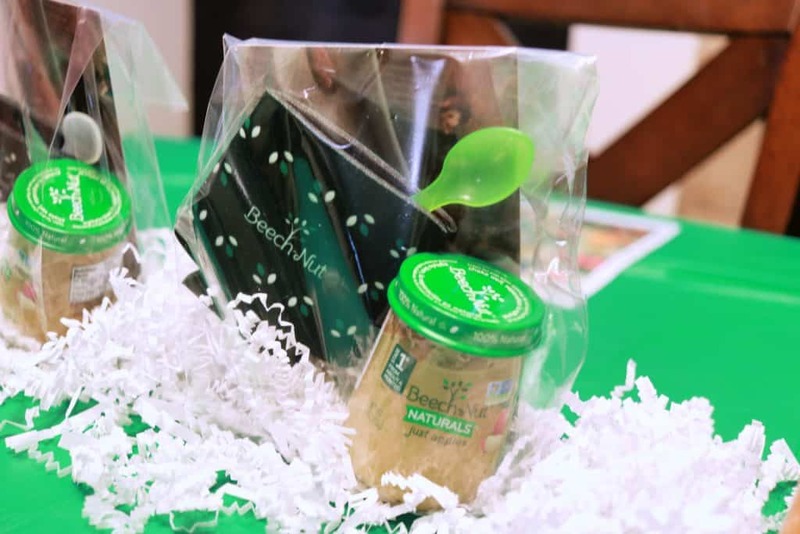 Each contained a recipe card, a spoon, a Beech-Nut jar koozie and of course a jar of Beech-Nut Naturals Apple. They were a big hit and everyone adored that little koozie! When our children were little and getting into their first foods, Beech-Nut was the brand we trusted the most. 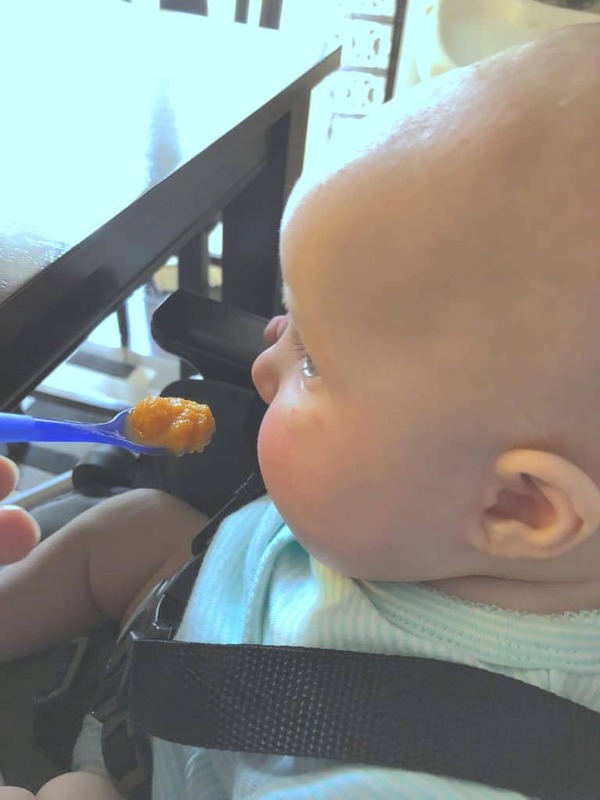 They are inspired by homemade and are real food for babies made with real fruits and vegetables. 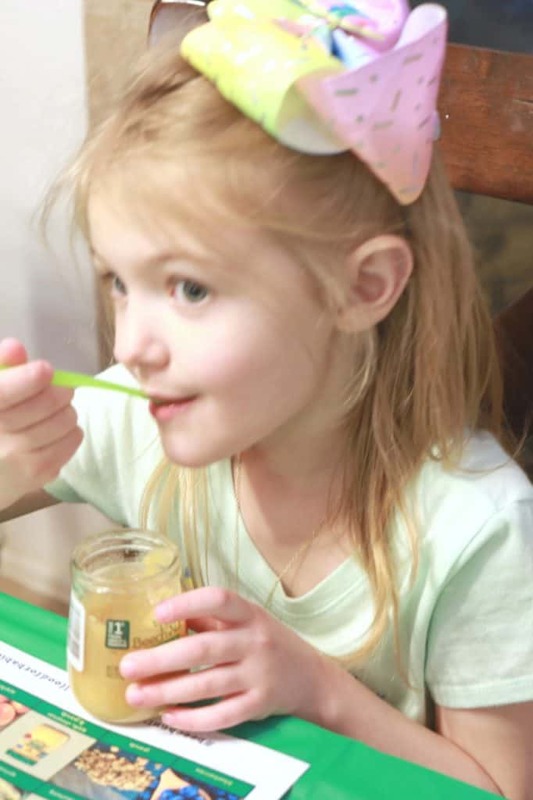 Honestly, my daughter still eats their applesauces out of both the jars and the pouches and I have no issues with that. I love that they are 100% natural with nothing artificial and are also available in organic options. I also love the functionality of their adorable honeypot shaped jars. We have recycled so many of them in our home and camper and continue to do so. I use them at school as plant starters in our biology class, or as storage containers. I mean honestly, we just love everything about Beech-Nut. Colorado was hit with a MASSIVE storm the day of our party. Out of all our guests invited, only 4 moms and 5 kiddos made it over. We still had a great time, but mostly kept it low key. My original plan was to play baby food bingo and then have a jar eating contest and some light snacks. We sat down for bingo and I realized that I forgot to purchase the pieces to mark out the bingo cards. We tried markers for a second and my nephew quickly drew on his pants and then ran away. We decided bingo was a no go at that point. Next up, we cleared the table and let the babies get messy. This little one in particular was ready (and was the WINNER too). We gave each little one, 3 jars of baby food. The baby that made the biggest mess was the winner. Rules were that if the kids could handle a spoon, the moms couldn’t help. We only had 2 babies that could handle a spoon. Some babies were just cute participants. 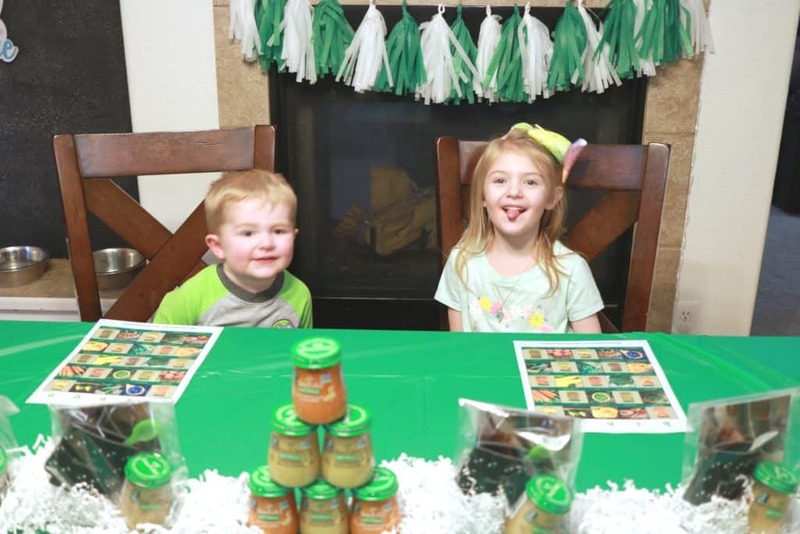 Others wouldn’t stay at the table and then our big winner, destroyed 3 jars and walked away with the grand prize of baby food and coupons to save on more! Overall, the party was a low key fun way to get together with my new mommy friends. Share products that my kids grew up on and still enjoy and really just laugh, enjoy and spend time together. We loved reading through the recipe cards and finding out that we can use the food in so many different recipe options even as our kids grow too! 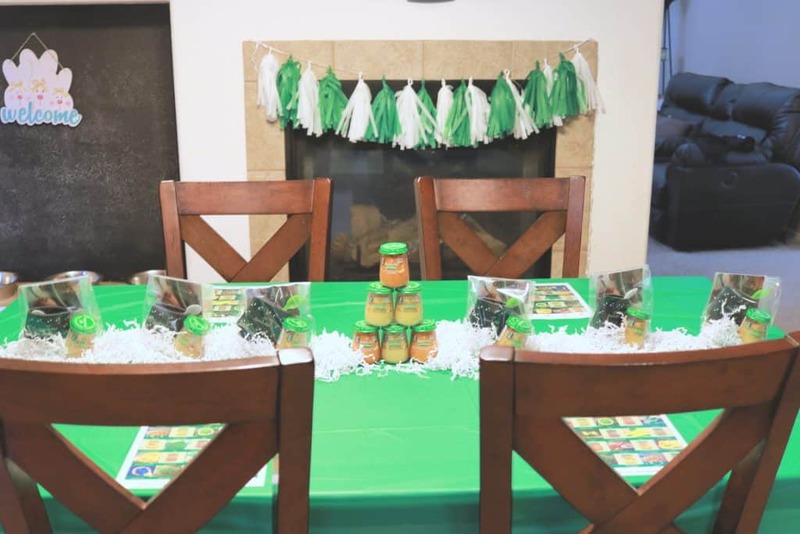 Would you host a Beech-Nut Mommy Party?